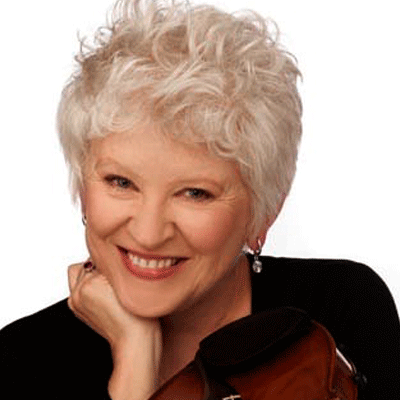 Paula Sisson Akbar attended Lewis and Clark College in Portland, Oregon, and received her Master’s Degree in Violin Performance from the Yale Graduate School of Music. Prior to joining the National Symphony Orchestra in 1991, she was a first violinist in the Oregon, New Haven, and Baltimore Symphony Orchestras and the Kennedy Center Opera House Orchestra. Ms. Akbar has performed with the 20th Century Consort, the Library of Congress Summer Chamber Players, the Sunrise String Quartet, the National Chamber Players, and the Smithsonian Chamber Orchestra, and is a founding member of the Eclipse Chamber Orchestra. A proponent of world and ethnic music, Ms. Akbar collects music from all around the world. She has performed with Mexican musicians in San Miguel de Allende’s Angela Peralta Theatre, toured to Costa Rica and Buenos Aires (and recorded a CD entitled “To Buenos Aires With Love”) with the WAMMIE award-winning group QuinTango, in 2010 completed a two week cruise to the Caribbean as a member of the Symphonic Voyages Orchestra, and, with her Viva Violins/Fiddle Sessions colleagues, has participated in almost every NSO United States Residency since 1992. Ms. Akbar is the creator of two Kinderkonzerts featuring Viva Violins. Madame Mavis Pugh’s School of the Violin and Bears, Bears, Everywhere have been presented multiple times as NSO Teddy Bear concerts in the Kennedy Center’s Family Theater.